Hello crafty people! I hope you have enjoyed your weekend? This week Dave and I have been off work so we have been on day trips with the kids and generally just spent a lovely week doing fun family stuff together 🙂 Alas, it’s back to work tomorrow – boo hoo, although it’s not so bad for me as I only work 3 mornings so I won’t complain too much! 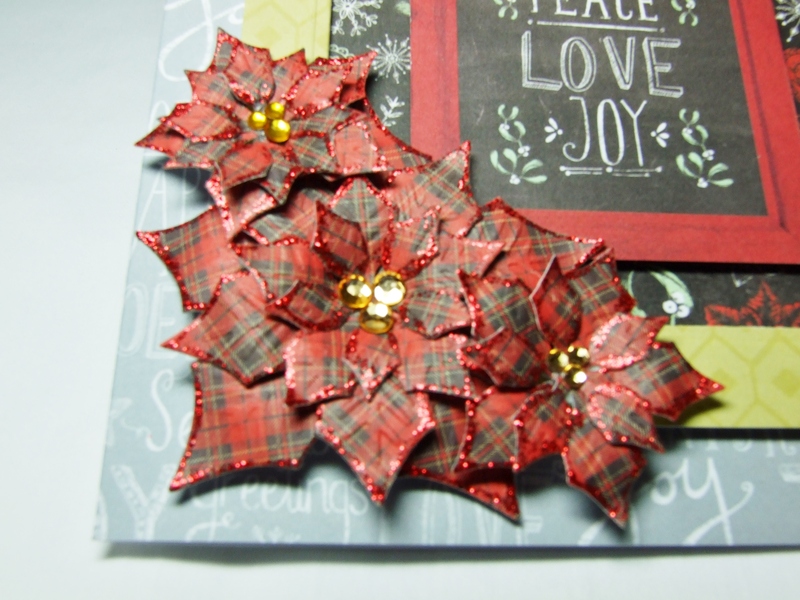 The card I’m sharing today is the 3rd Christmas card that I have made so far this year! Keep saying it but I really have got to pull my sock up here – must have at least another 100 or so to go! 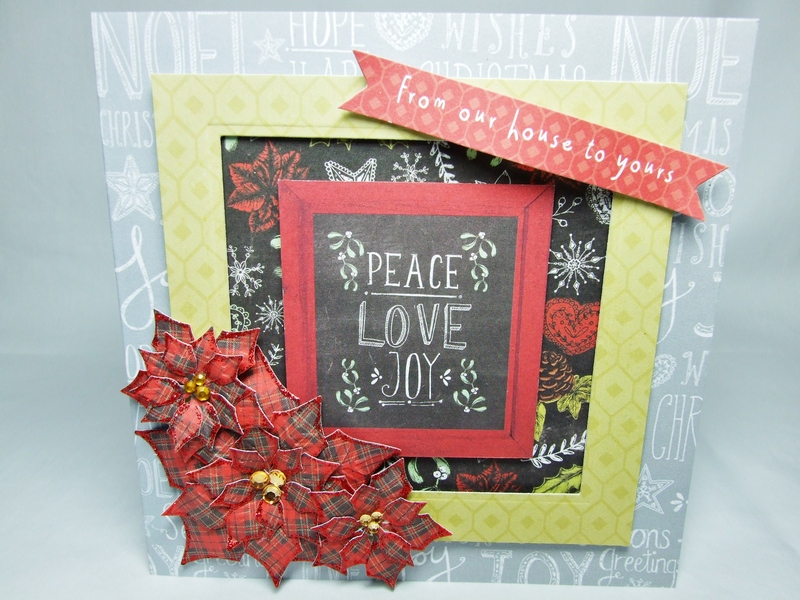 Anyway this one was made with the lovely new ‘Chalkboard Christmas’ collection from Craftwork Cards. I don’t think that this is available on their website yet as I think I’m right in saying that it is exclusive to Create and Craft for a while. The card blanks (well, I say ‘blanks’ but they are all printed with various patterns) that compliment the collection are – or will be, available separately from the kit too. I really like the chalkboard look that’s so popular now and this kit was great to work with. I have to say that the other 2 Christmas cards that I have made have also been made with this kit. 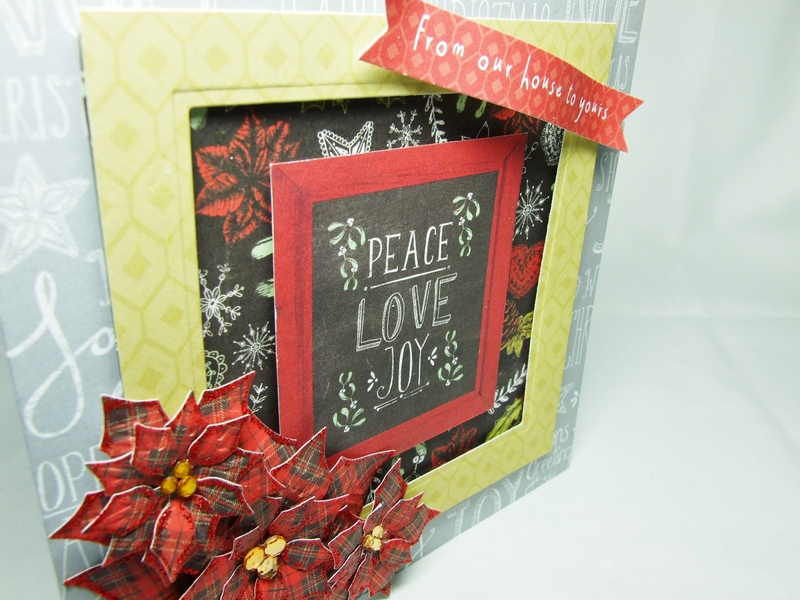 The poinsettia die is from Spellbinders as is the square die that I used to create the frame. Add a touch of red Stickles to the poinsettia petals and job done!